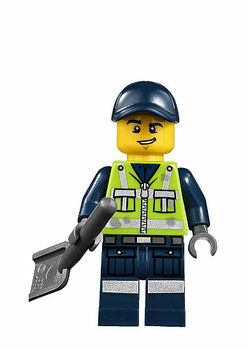 Garbage Man Dan is a minifigure released in 2014 as part of the LEGO Movie theme. He has the same headpiece as the Elite Police Officer. Facts about "Garbage Man Dan"
This page was last edited on 9 January 2016, at 22:43.